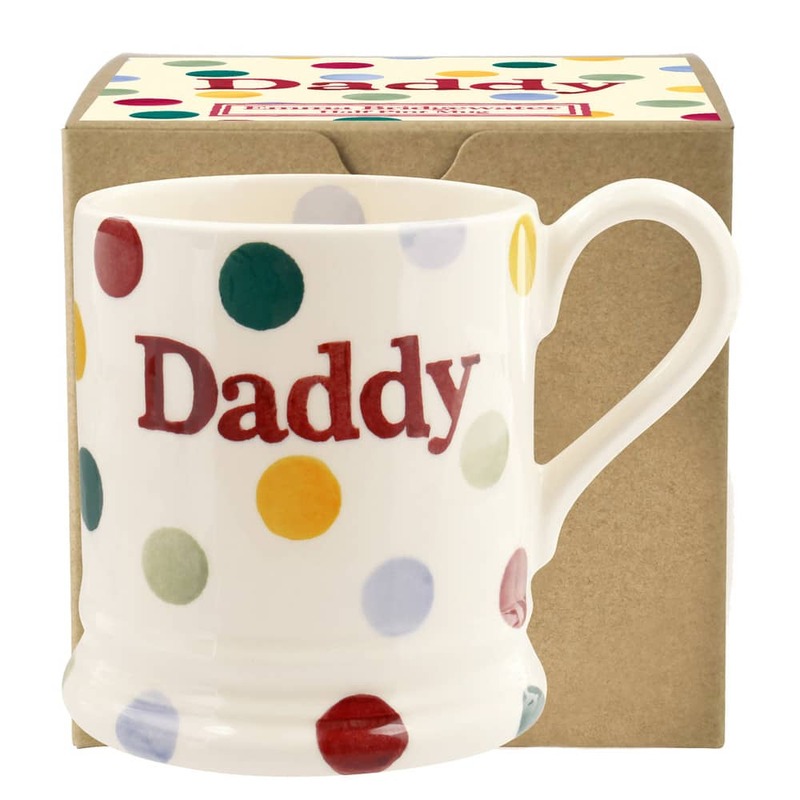 Show Daddy just how dotty you are over him with this classic Emma Bridgewater 1/2 Pint Mug. Gift Boxed. Made in Stoke, England. Size: Height 9.6cm, Diameter 12.1cm, Capacity 284ml.